BOOK NEWS! By popular demand my three bestselling voodoo romance books are now available as a downloadable boxed set. 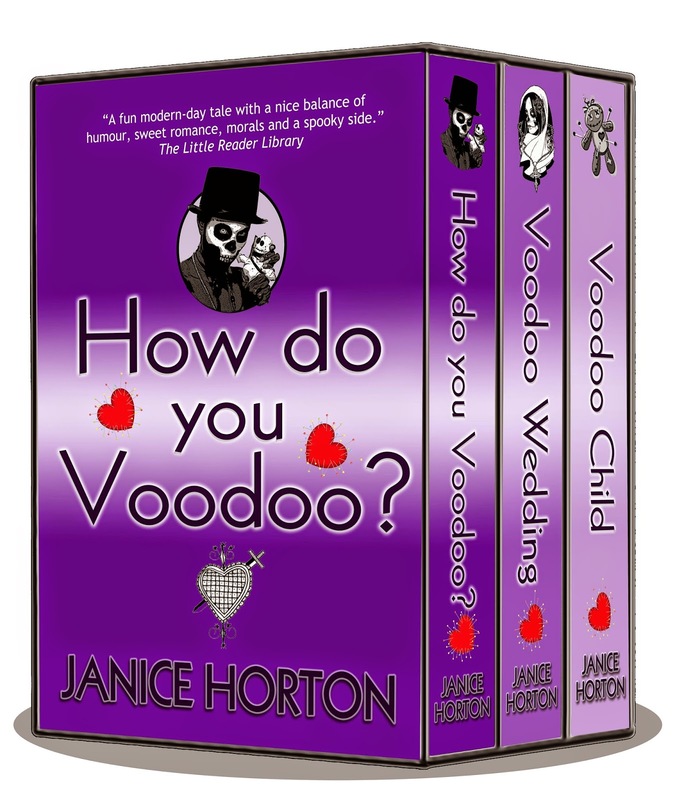 Get ‘How Do You Voodoo?’ ‘Voodoo Wedding’ and ‘Voodoo Child’ in one go for just $2.99 or £1.82 from Amazon for Kindle! These voodoo romance stories were such fun to write and were inspired by a real life spat between two Haitian women that I witnessed on a flight from the Caribbean to the UK - when one seemed to put a curse on the other. My imagination went into overdrive and How Do You Voodoo? was born! Great idea, Janice as sets seem to be popular.